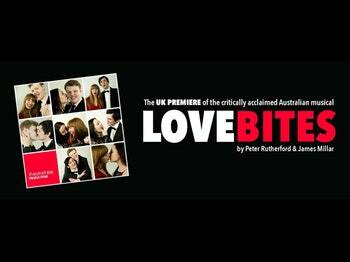 Lovebites is an Australian musical about falling in and out of love. There are no words spoken – just songs, from a cast of 4 ( Charlie Bowyer, Alasdair Melrose , Ariane Sallis and Jessica Tripp) who sing about 7 different love stories. The set is minimal and the stage, even if small, is used very effectively. The cast is good but there is work to do in term of voices. The stories are not strong for me and the vignettes-style doesn’t help to familiarize with the characters; the drama lacks so, the musical was not catchy. The music is not very original and sometimes repetitive. The venue is very nice and I recommend the pub downstairs that is lovely.